Location! Location! Location! This is your chance to own a beautiful 3/4 acre lot! Gorgeous property nicely maintained tree lined area in a perfect location 1 minute from downtown Plymouth!! You can still get into Plymouth at an affordable price! 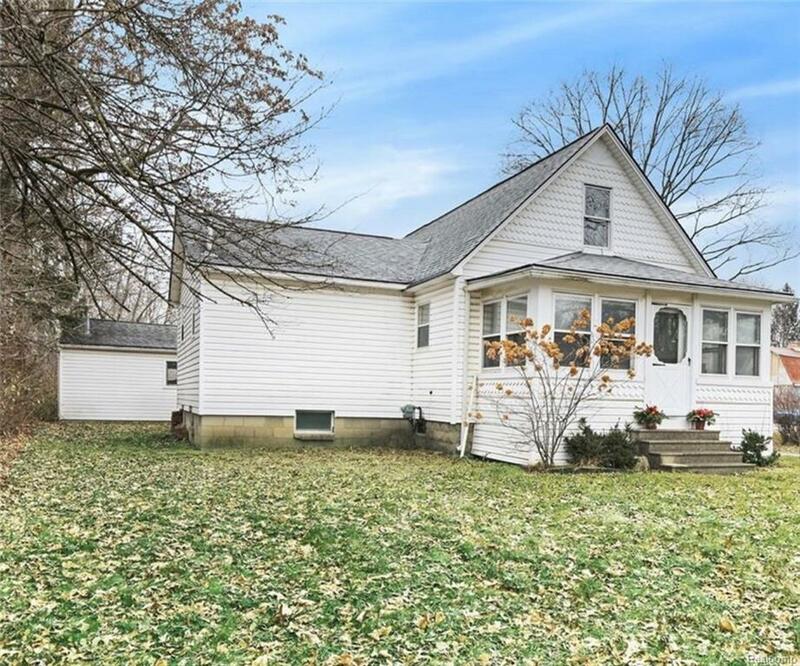 With some TLC this home could be renovated or a new construction. The lot size is 66 x 472 Great wooded lot with privacy! 3 bedrooms 1 full bath, one car garage and an additional two car garage heated with a furnace. Spacious kitchen, indoor front porch, Large full bathroom , Laundry room! House has city water and sewer!